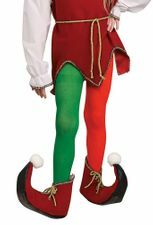 Your junior holiday helper will look like Santa's star toy maker in this child size Christmas elf costume! 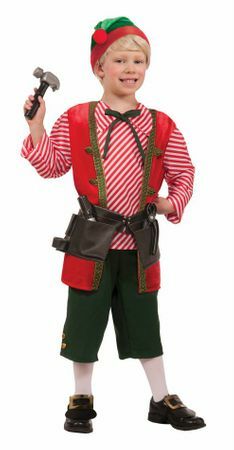 Includes green hat with pompom, long-sleeved red and white striped top with attached vest and bow at collar, green pants, and vinyl tool belt with toy tools. 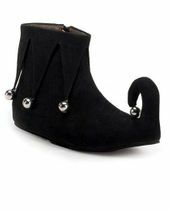 By Forum. See more Santa Claus and elf costumes for kids in our Christmas Costumes collection!